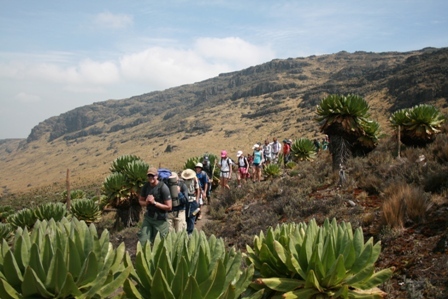 Often regarded as the most beautiful mountain in Africa, our 5 day expedition takes you from tropical rainforest, 2,400m above sea level, to Mt Kenya’s alpine slopes of point Lenana, the trekker’s summit at 4,985m above sea level! 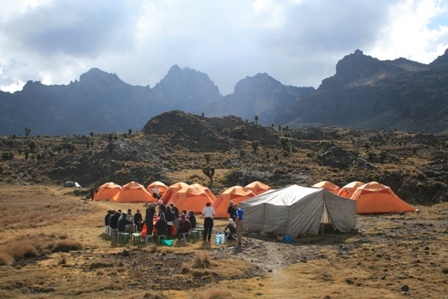 Mount Kenya is a broad, largely symmetrical volcanic cone with a diameter of about 120km. It was formed between 2.6 and 3.1 million years ago and it is possible that the original volcano was over 7,000m in height and more than 2,000m higher than it is today. 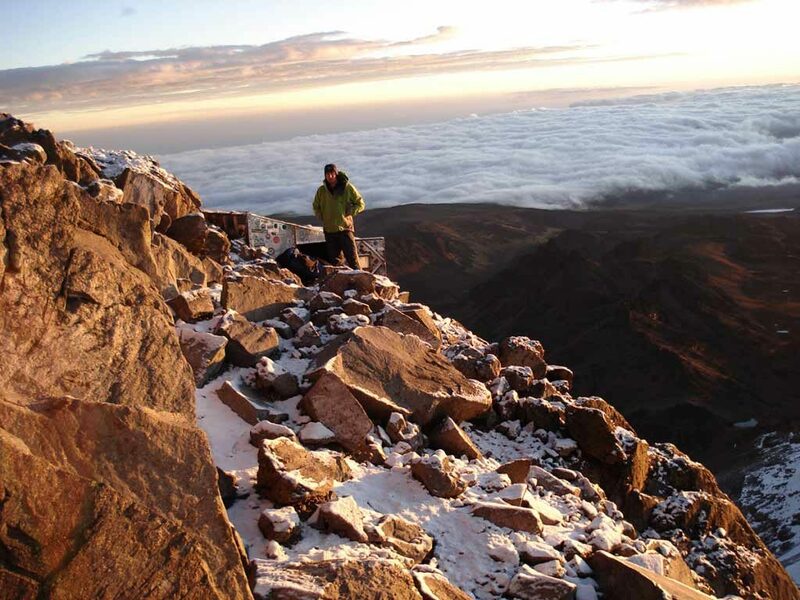 Of the main peaks on the mountain, Batian at 5,199m and Nelion at 5,188m are only accessible to technical mountaineers, whilst Lenana, 4,985m, is accessible to trekkers. June-October & December-March; for a minimum of 2 people to a maximum of 70 people. 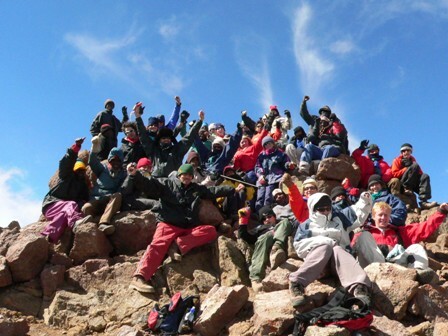 All camping equipment, park fees, professional, experienced and qualified guides at a ratio of one guide to ten people. Porters carry all kitchen and camping equipment as well as your personal backpack so you only need to carry your day pack.